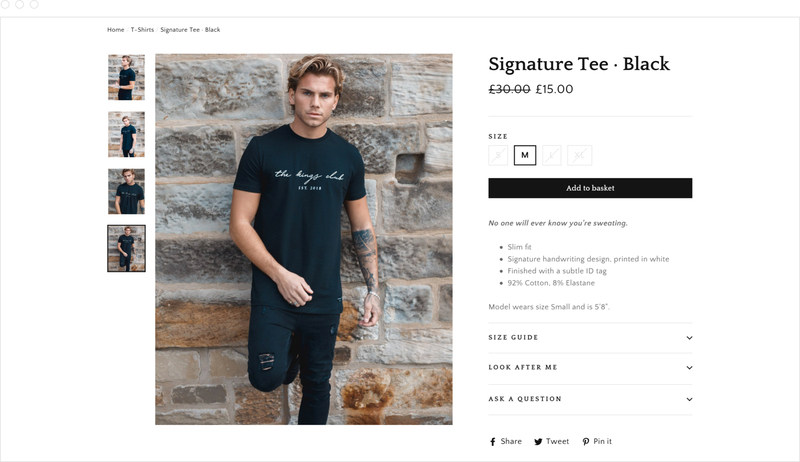 A stylish, distinctive online experience for an exciting new clothing brand. 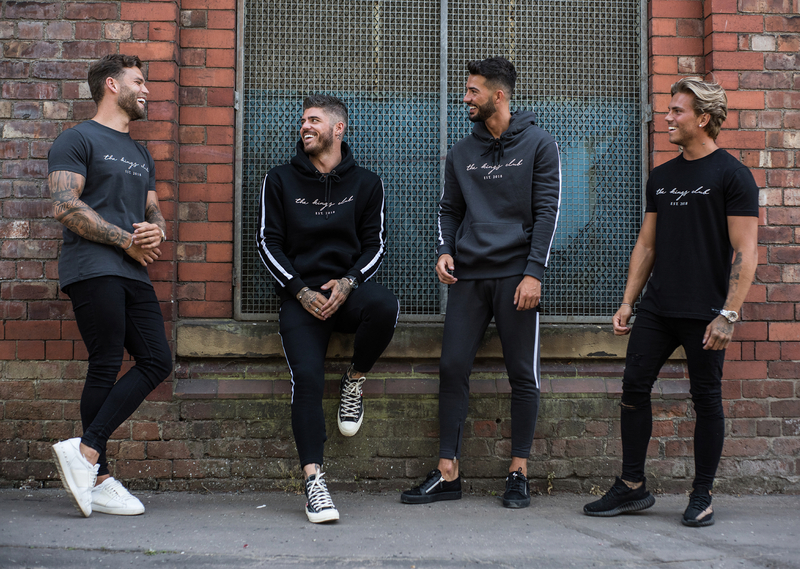 The Kings Club are a new brand offering men’s clothing to fashion forward consumers. 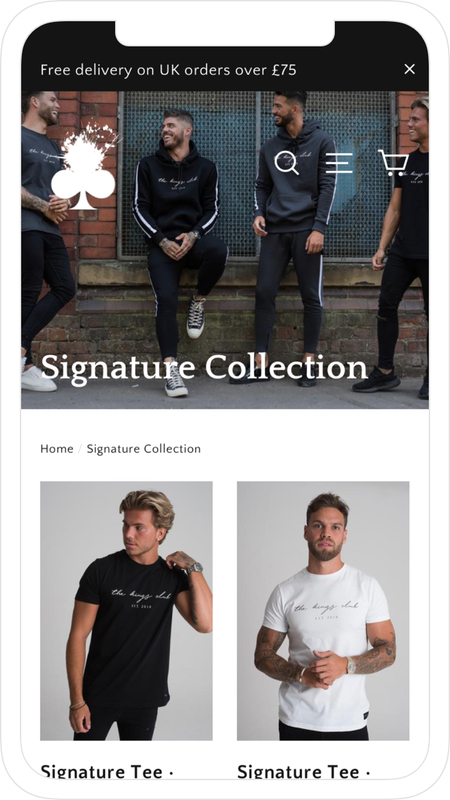 They needed an online presence and online store in order to build their customer base, showcase their products, manage orders and position themselves within the marketplace. 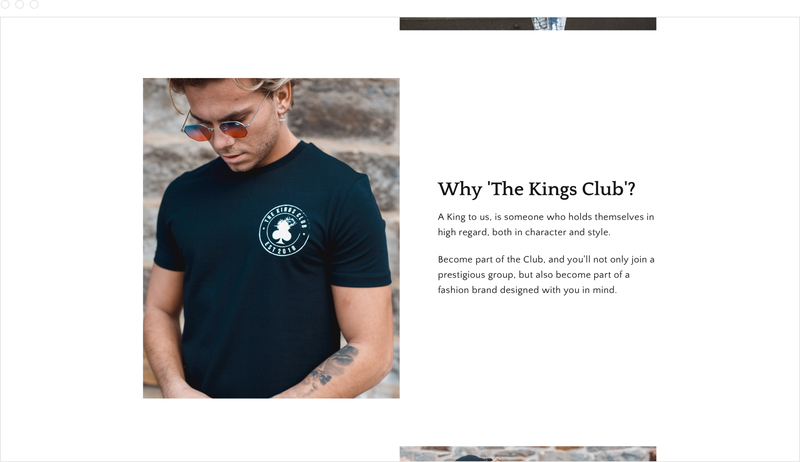 With a vision to become the next big menswear brand, The Kings Club needed an online experience that told their story, increased brand awareness and ultimately grew sales. 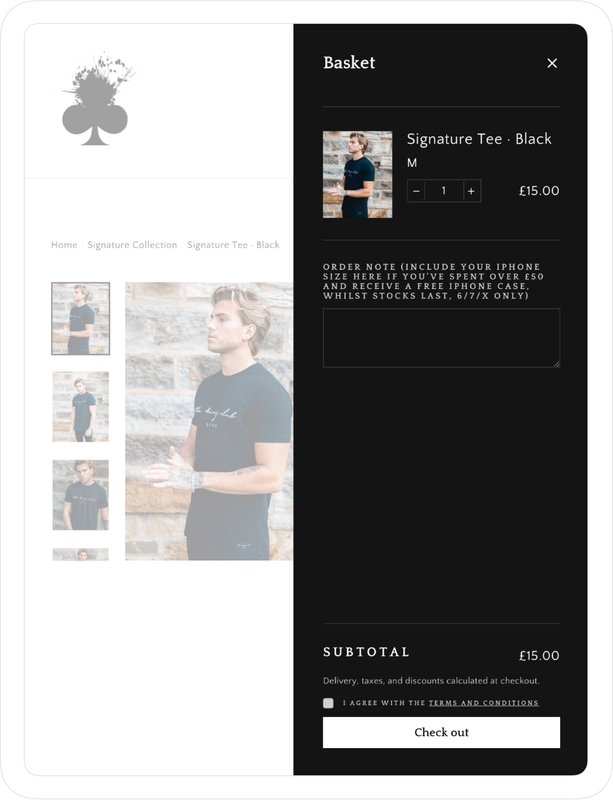 Following best practices and industry standards, the user experience is as simple as possible, ensuring an easy ordering process, and guiding users along the process with the least possible drop offs. 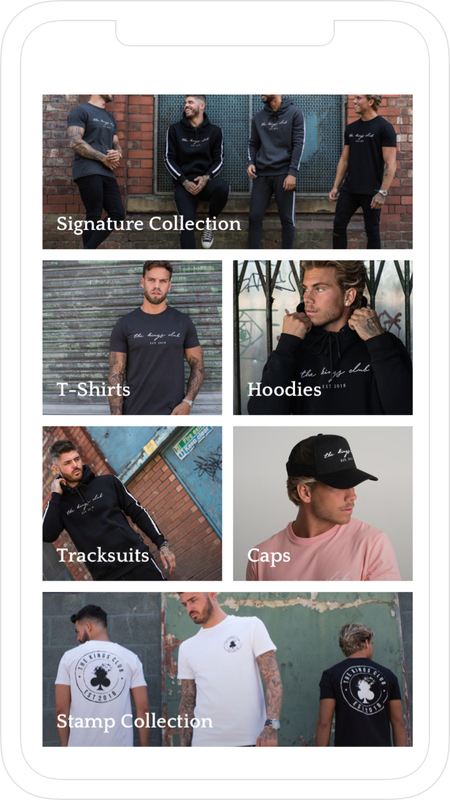 As the majority of traffic would be coming from Instagram, I created a responsive, mobile first online store optimised for all devices. 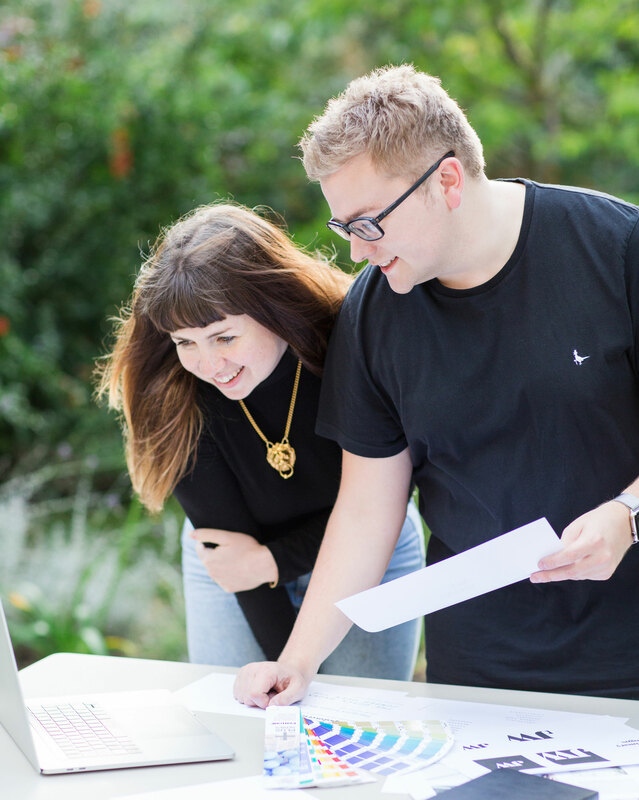 Use of animation adds depth, helps to create spatial relationships between elements, highlight key actions, and adds character to common interactions across the experience. 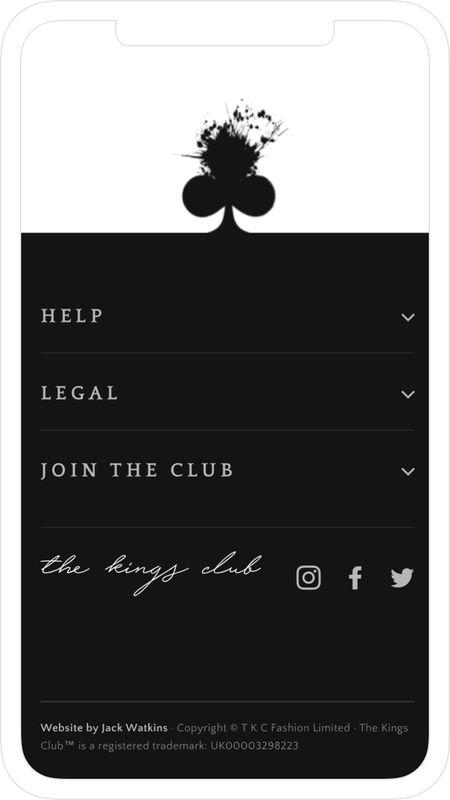 The Kings Club now have a seamless customer experience and online presence, and the team have an easy to use online platform which allows them to manage products, keep track of stock, set up discount codes, and manage and ship orders. 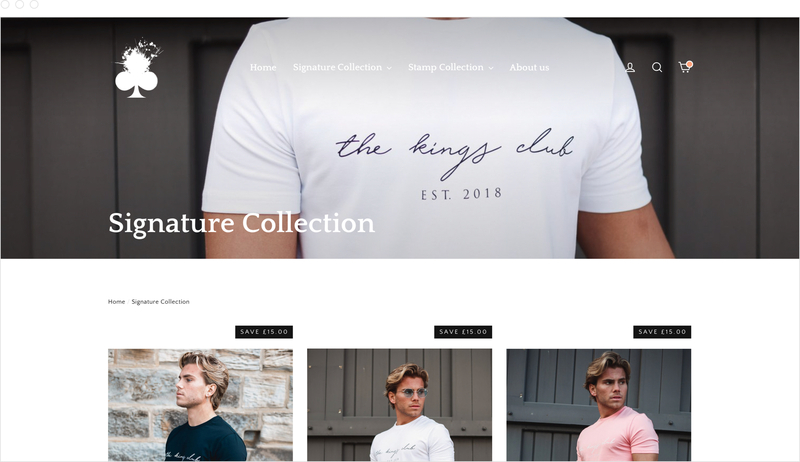 Thanks to a carefully curated team of creatives and models, The Kings Club have an on brand online store which perfectly encapsulates their cool, stylish, distinctive outlook. 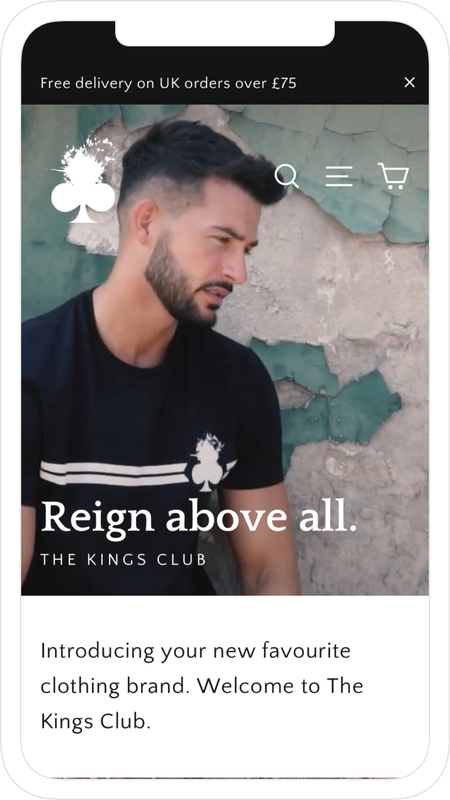 A fresh online experience for a sought after life coach, public speaker, and business mentor. 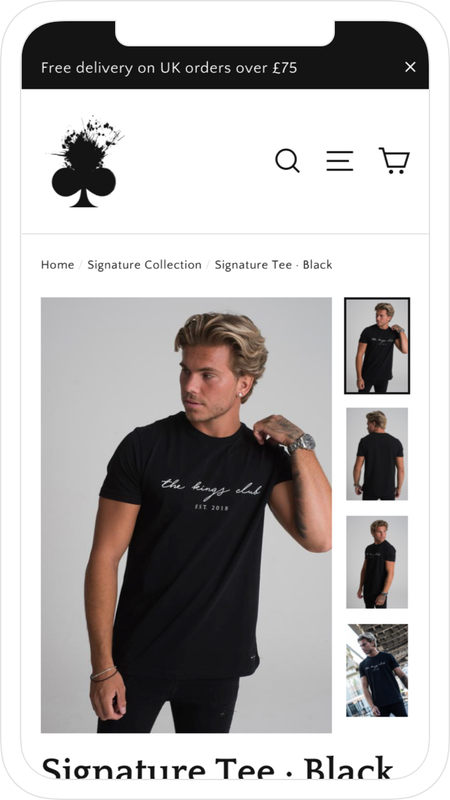 An eye catching, and ear catching campaign for a super talented singer. 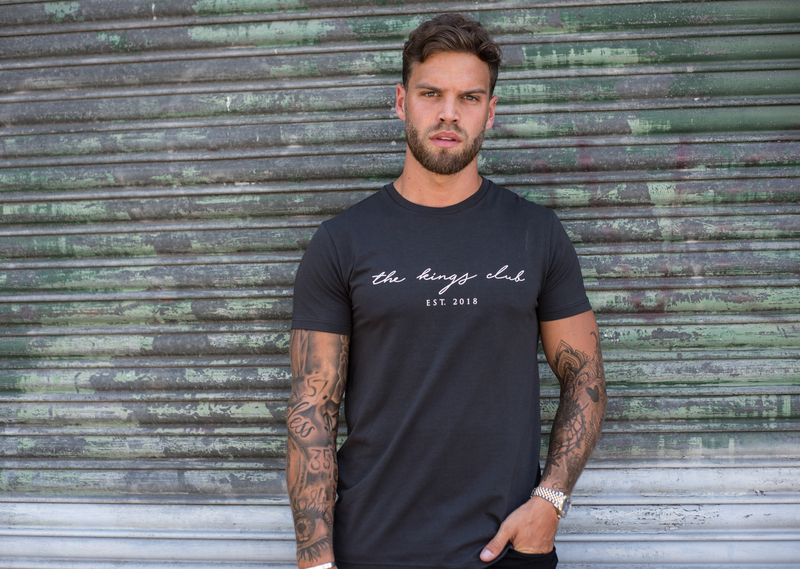 Let’s make it a great one.